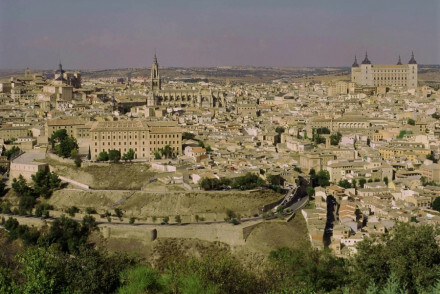 Toledo's name resonates through Spanish history - it was once the capital, and because the name looms large, as a religious and cultural centre, the city might seem smaller than you expect. But don't be disappointed with your first impression, Toledo shouldn't be overlooked. It's home to a wealth of beautiful religious buildings - from churches to mosques to synagogues, set around an old town ripe for discovering. 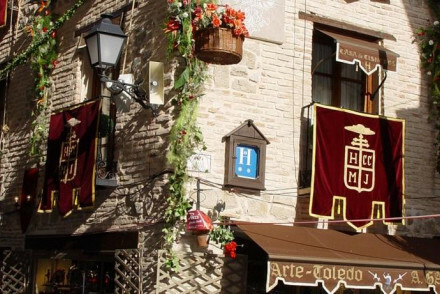 Toledo can be busy with day-trippers, so it's worth staying through the evening, when the city is even more magical - but don't worry, the best places to stay in Toledo are quite affordable. Though boasting a wealth of beautiful, historic treasures, Toledo is very much a living city and probably one of the very best places in the world in which to become lost! The 13th century Gothic Toledo Cathedral is probably the city's most impressive sight - this was the historic capital of Catholic Spain, and it's one of the most extravagant cathedrals in the country. The Transito Synagogue and 15th century Franciscan monastery, controversially located in the Jewish part of town, are close rivals to the cathedral's grandeur. As is the Alcazar, rebuilt under Franco and now a military museum. Toledo also has the remains of Roman baths, several interesting little museums, and some larger ones, and rows of plazas lined with wonderful little bars and cafes. To avoid disappointment be sure to book ahead, as the best places to stay in Toledo get quickly booked up! Casa de Cisneros is a traditional, and very reasonable,10-room hostel right by the cathedral. Rooms are cosy, and decorated with antiques, and there's a great little restaurant specialising in classic, regional dishes. 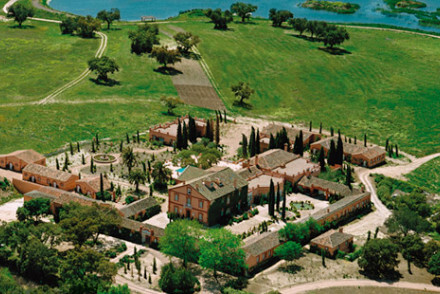 Valdepalacios is an idyllic country house in the green fields between Madrid and Toledo. There are just 29 romantically decorated rooms, lots of lovely communal living space and a state-of-the-art spa. 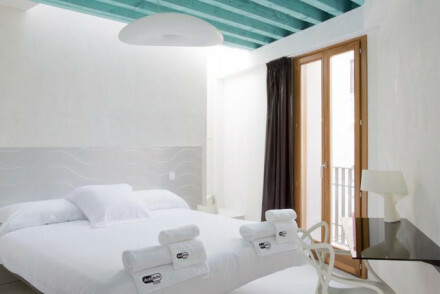 Located in the heart of the city, Antidoto Rooms offers stylish whitewashed accommodation with lovely views. Enjoy a lovely breakfast each morning to set you up for the day. Toledo's nicest weather-wise in the summer months, with the average daily temperature reaching 25°C in July and August. This however is peak tourist season, so for a quieter alternative consider coming in May or September. Don't worry, the weather's still pleasant enough to spend your days outside sightseeing! International visitors can fly into Madrid Bajaras International Airport, located 70km northwest and well served by public transport links to Toledo. Browse though our list of all the best places to stay in Toledo. Expand your search west to Cáceres or look through our recommendations in Castile-La Mancha as a whole. The Parador de Toledo must have one of the best views of the city, plus comfy and spacious bedrooms, good restaurant and a pool to cool you down after the delights of Toledo.